Here you will find the latest (and previous news) about the club as well as upcoming events, and temporary changes to the normal club or squad swimming timetable. Meet (competitions) and club swimming events are shown in the calendar. The Annual General Meeting and Prizegiving will be held in the Lecture Theatre at Te Rauparaha Arena at 3:00pm on Sunday 28 May 2017. Full AGM Notice and Prizegiving details here. The Annual General Meeting and Prizegiving of Porirua City Aquatics was held on 23 May 2015, in the Theatre at the Te Rauparaha Arena Porirua, commencing at 4:00pm. It was great to see the room full of people at our AGM – thank you for coming along and supporting the club, and thanks especially to those who made themselves available for the committee. Three lanes have been booked for the Orca Session and two lances for the swordfish sessions. Club nights on Monday 29 September to Friday 10 October will be devoted to distance badge swimming only, sessions on Sunday morning at 8:00am and 8:45am will continue as usual through the holiday period. For those new to the club, PCA has distance badges swimmers can achieve by completing a distance without stopping. The distances covered are 25m (one length) 50m, 100m, 200m, 400m, 800m, and 1500m. Once a swimmer has completed all these distances they move on to swimming 1 kilometre (40 lengths) for a time. The club has various ribbons to reward swimmers for the times achieved. PCA has the pool booked until 8:00pm. Those swimming up to 400 metres should come at 6:00pm, while those swimming longer distances are to come at 7:00pm. To help these evenings run smoothly Eileen and Viv need help from parents counting laps and/or timing the 1k swimmers. swimmers may need to wait their turn if the lanes are full, so everyone has the opportunity to achieve their goals. Each Monday the Orcas will be training in 3 lanes until 6:30pm, leaving club swimmers 3 lanes from 6:00pm to 6:30pm, and six lanes after 6:30pm. All six lanes will be available each Friday. As the Tadpoles and Penguins do not train over the school holidays, they are welcome to join in these club sessions and swim distance badges. Three lanes have been booked for all sessions. Club nights on Monday 7 July to Friday 18 July will be devoted to distance badge swimming only, sessions on Sunday morning at 8:00am and 8:45am will continue as usual through the holiday period. On Monday 7 and 17 July the Orcas will be training in 3 lanes until 6:30pm, leaving club swimmers 3 lanes from 6:00pm to 6:30pm, and six lanes after 6:30pm. All six lanes will be available from 6:00pm on Friday 2 May. Congratulation to Ben Walsh, Bronagh Ryan and Jonty Bamber who have been selected to represent Wellington at the 6 Centre Meet to be held later on Saturday 28 June at Palmerston North. This meet is held each year and is a competition between Hawkes Bay-Poverty Bay, Manawatu, Wairarapa, Taranaki, Wanganui and Wellington. This meet held on 16 June at Cannons Creek Pool proved to be as exciting as ever, with close racing and a number of unofficial PB’s swum. Congratulations to the finalists, especially the winner Ethan Smyth-Rangi. Brodie Teirney was second, Sophie Paterson 3rd, Jamie Mason-Jones 4th, Jacob Reiher 5th and Ethan Jones 6th. Well done to all the semi-finalists, along with the finalists they were Maggie Peterson, Lachlan Hannon, Claire Ryan, Ariana Tierney, Tobias MacIntosh, Troy Griffiths, Brooklyn Ropeti, Lilah Smith, Grace Reiher, Jemma Brisk, Tyrone Lloyd, Ethan Hunter-Day, Tom Gibbs, Lennon Griffiths, Jamie Norris, Annabell Swallow, Angus Paterson, Greer Pugh, Daneka Sheppard, Liana Reiher, Max Jones, Declan Tierney, Jasper Brisk, Troy Hunter-Day, Josh Gibbs, Sophie Wills, Anais Lucas, Caleb Clarke, Bronson Lloyd and Ben Walsh. Official times cannot be recorded in handicap races. The improvements made by some swimmers were huge, indicating they should be entering a proper meet to update their times. The Annual General Meeting and Prizegiving of Porirua City Aquatics was held on 11 May 2014, upstairs at the Te Rauparaha Arena Porirua, commencing at 2:00pm. The AGM was follows by the prizegiving with Cups and Trophies awarded. A list of those who received cups and trophies is here. Congratulations to our PCA team (Sophie Wilkinson, Mia and Matisse Uluilelata, Monica Saili and Ben Walsh) who recently competed at this year’s NZ Age Group Swimming Champs held in the city at the Wellington Regional Aquatic Centre. This year’s event was also the qualifying meet for the youth events to be held later this year. The Youth Olympics in China and the Junior Pan Pacific Games to be held in Hawaii both being held in August 2014. This was an added incentive for all the super fast swimmers to go even quicker. And go quicker many of them did. Overall the PCA team achieved 2 Age Group Gold Medals, 1 Age Group Bronze, a NZ record, 2 Wgtn Open Records, 2 Wgtn Age Group records and several National Top 20 placings. PCA finished 39th on the final points table out of the 95 clubs that were competing which was 2 places better than last year (not bad for just 5 swimmers). Sophie Wilkinson (12): was able to compete in her first National Age Group champs. The age group she swam in was girls 13 and under so to qualify as a 12 year old is really impressive. Her first race was the 50 Backstroke where she turned in a great swim but her finish didn’t quite go to plan which slowed her final time. She placed 13th and was just a few splits off her PB. A few days later Sophie returned for her 100 Backstroke where she placed 19th overall and was just off her PB again. Look out next year when she returns as a 13 year old and doesn’t have to swim against girls a year older. Matisse Uluilelata (15): qualified in the 100m Fly where she finished 29th overall. Again this year there were no qualifying times set for the 50 metre races, if you had qualified in a 100 metre or longer event you were allowed to swim in the 50 metre race of that stroke. This meant Matisse could also swim in the 50 Fly which she chose to do and she finished in 21st place over all. Both swims were just ever so slightly behind Matisse’s PBs. Mia Uluilelata (13): qualified in the 100 & 200 Backstroke and also chose to swim the 50 Backstroke. She placed 12th in the 200 swimming a nice little PB, she placed 16th in the 100 this time just slightly off her PB and also competed in the 50 where she placed 19th and again just behind her PB. Monica Saili (16): swam in 2 Freestyle events. The 50 and 800 metre Freestyle for 16 year old Girls. First up was her 50 Free where she placed 16th overall just slightly off her PB. She then waited until the last day to compete in the womens 800 Free. Monica went out hard and held on to do a very creditable 2 second PB and placed 13th over all. Ben Walsh (17): As always Ben had aged up just 2 months before this event and this year also had to cope with the double age group of 17/18 year olds to compete against but he still managed to turn in some excellent results collecting 2 individual Gold medals, 1 Individual Bronze medal, a New Zealand Age Group Record, 2 Wellington Open records and 2 Wellington Age Group records. Ben placed first in the 50 & 100 Breaststroke and 3rd in the 200 Breaststroke. He set a new NZ age group record in the 100 Breaststroke breaking his own NZ record by just on half a second which he established only 2 weeks earlier. He set new Wellington Age Group and Open records in both the 50 and 100 Breaststroke events but didn’t quite PB in his 200 Breaststroke so had to settle for the Bronze medal and no records there. Ben also placed 4th in the 200 Medley, 6th in the 50m Fly, 13th in the 50 Free, 15th in the 100 Backstroke and 18th in the 100 Fly. He also swam in the Over 16 years Boys Wellington Relay team and they finished in 4th place in the final of the Freestyle relay. As mentioned earlier this was also the qualifying meet for the 2 youth events being held in August this year. Bens 100 Breaststroke swim was quick enough to give him the highest FINA points score at the meet meaning he was the first choice for the Youth Olympics Team for China. Unfortunately he is not available for that event so had to pass on the opportunity. However he is available and has been selected to represent New Zealand in Hawaii as a member of the NZ Junior Pan Pacs team where he will be one of a 10 swimmer squad to compete against others from some of the Pacifics power house teams. So congratulations Ben on being selected for this and also the Oceania Champs to be held in Auckland later this month. Congratulations also go to our coach (Nevill Sutton) who has also been selected for the Junior Pan Pacs team. He will be accompanying Ben and the rest of the team as one of New Zealands coaches for the meet. Overall another exciting meet with many great results from our swimmers. others who helped in so many ways during the meet. For the first time since PCA formed we were able to form a small but talented team to attend this year’s NZ Open Swimming Champs. This meet doubled as the Commonwealth Games Trials and was also the qualifying meet for the Pan Pacific Games and the Oceania Championships to be held later this year. This meant the very best of New Zealand’s swimmers were all in attendance. Open meet means age is not relevant, it is all about being the fastest in the pool on the day to win the race. The format is heats in the morning and the fastest 8 swimmers go through to compete in the evening finals. Our team consisted of Bronagh Ryan, Ben Walsh and Monica Saili, coach was Nevill Sutton and team manager was Bill Walsh. We arrived in Auckland on Sunday afternoon with the intent of getting acclimatised to the pool before racing started on the Tuesday. After settling into our accommodation it was straight down to the pool for a wee session. We were able to fit in 3 training sessions prior to the competition starting which proved invaluable to the swimmers. Results; 62 teams competed at this meet; PCA came 20th overall beating many other much larger clubs. We came in a very commendable 2nd out of all the teams from the Wellington region so congratulations to our 3 swimmers and coach. Both Ben and Bronagh qualified for finals and got to experience the thrill of live television each time they readied themselves at the start end. I must say by the last day they seemed very relaxed with the cameras getting in their faces. Bronagh Ryan; swam 4 individual events and made finals in 3, her results were 50 Fly (B final 14th place overall), 50 Free 9th place overall, 50 Breast making the A final finishing 4th place overall. Unfortunately due to ill health Bronagh had to pull out of her Thursday races 50 Back, 200 Breast and 100 Free but on the last day was feeling better and able to make her final swim which was 100 Breast where she made the A final and finished a creditable 4th over all. Monica Saili: had qualified for the Women’s 50 free so decided to shoot up for that race rather than miss school for the week. It’s always difficult to perform at ones best when competing like this, Monica swam well just 0.20 secs off her PB and finished 24 overall. Ben Walsh: swam 6 individual events and made A finals in 4 of them. His final results were. Mens 50 Breast 2nd Place (silver medal) he set a new Wellington Age group and Wellington Open record. Mens 100 Breast 2nd Place (silver medal) setting a new New Zealand Age Group record for 17 yr old boys also setting a new Wellington Age group record and new Wellington Open record. Mens 200 Breast 6th Place also setting a new Wellington Age group record and new Wellington Open record. Mens 200 Medley 7th Place. He also competed in the 50 and 100 Freestyle but did not make finals. Ben’s results from both the 50 and 100 breaststroke events now make him the second fastest breaststroker in NZ (for all ages) behind our Olympian Glen Snyders (not bad for a 17 year old). Due to Ben’s success he has been named in the New Zealand team to compete at the Oceania Championships to be held in late May. In addition to this Ben swam well under the qualifying times for the two premier youth events to be held overseas in August this year. These two New Zealand teams will be named after the NZ Age Group champs which will be held the second week of the school holidays so here’s hoping Ben can swim just as quick then. Overall another exciting meet with many hard fought races and several great results produced by our 3 swimmers. Swimming Wellington have revamped the 2014 Interclub league competition. The format is very similar to previous years, with individual sprint races over all four strokes in age groups (12 & under, 11 & under, 10 & under and 9 & under) and numerous relays. Age is as at 21 June. All meets will be held on Saturday’s (10 May, 24 May, 7 June, and the grand final on 21 June at the Coastland pool). Each team will swim one meet in Wanganui (3:00pm warm up) and two meets in the Wellington region with a 4:30pm warm up. Swimming Wellington will provide a bus for teams travelling to Wanganui. PCA is committed to entering one competitive team of between 14 and 20 swimmers. All swimmers 12 and under (on 21 June) will be considered. Under the rules the team members may change during the competition. Note - Junior National qualified swimmers are eligible. Those selected for the first meet will be notified by Thursday 1 May. The club will meet the cost of the team’s entry fee and swimmers will be entered in events to give the team the best advantage on the points table. Remember this is a team competition. If you have a queries see Andy Wilkinson or Viv Morton. This combined event will be held on Sunday 11 May 2014 in the upstairs meeting room at the Te Rauparaha Arena commencing at 2:00pm. The AGM involves the presentation and approval of the Presidents Report, Coaches Report and Financial Accounts, and the election of Officers (Patron, President, Vice President, Secretary, Treasurer, Race Secretary, Club Captain) and the new Committee for 2014/15. All club members, their families and supporters are welcome. PCA has over fifty Cups and Trophies to present to our Club Champions and others who have achieved during the year. As well, the Age Group Medals and Club Champs Certificates will be presented. Trusting all our swimmers and their families will join us on the 11th, to acknowledge our winners and support the club – please bring a plate for afternoon tea. There will be no club or squad swimming on Good Friday (18 April), Easter Sunday (20 April), Easter Monday (21 April) and ANZAC day (25 April). Club swimming will be held as normal on Sunday 27 April and Distance Badge Swimming on Monday 28 April and Sunday 2 May. PCA has the pool booked until 8:00pm. Those swimming up to 400m metres should come at 6:00pm, while those swimming longer distances are to come at 7:00pm. To help these evenings run smoothly Eileen and Viv need help from parents counting laps and/or timing the 1k swimmers. On Monday 28 April the Orcas will be training in 3 lanes until 6:30pm, leaving club swimmers 3 lanes from 6:00pm to 6:30pm, and six lanes after 6:30pm. All six lanes will be available from 6:00pm on Friday 2 May. Saturday the 22 March saw the above meet held at Naenae Pool. This is one of the few meets where the swimming is not about swimming as an individual but swimming as a team, where each team swims a medley relay and a freestyle relay. The meet saw a greatly improved turnout of swimmers/teams for PCA of 7 teams (2013 2 teams) so a big thank you to all those that entered for taking time out to swim for the Club rather than just themselves. The Naenae pool was filled to the brim with swimmers and supporters alike and all PCA teams acquitted themselves well and put in a fantastic 100% effort to show that PCA can mix it with the best of them. Out of the seven teams we managed to get one up onto the podium with the Under 11 A team collecting the silver medal in the freestyle relay. This particular race showed how each leg in a relay is just as important as any other and the importance of everyone giving their all as PCA claimed the silver by a mere .05 of a second over Swim Zone. The spirit of the PCA supporters also showed through with a huge cheer when this result came up on the board. Once again thanks to all those swimmers who gave up their time to enter and to all the parents, supporters and officials without whom there would be no competitions to go into. PCA Senior squad swimmers who attended training on Friday night (14 March 2014) were given a brilliant surprise when Olympic Gold winning medallist swimmer Claire Donohue came along to training. This twenty five year old young woman was an absolute pleasure to have visit us. Not only did Claire talk to the swimmers but she also hopped in and had a swim with them as well, then gave each of the swimmers a very quick critique of each swimmers 25 metre butterfly. Claire won her Gold medal in the 4 x 100 IM medley relay at the 2012 London Olympics. Of course we had where is your gold medal? She also placed 7th in the Women’s 100m Butterfly final. The most enduring comment was that she like everyone found it hard to get out of bed but realised to be the best she could be she needed to manage herself. Congratulations to Teams 5 the winners of PCA’s 2013 In-house league competition with 617 points. The team, lead by Bronagh Ryan and were consistent attendees and performers – well done to Jed Mclachan, Ryan McArdle, Fetid Alivia, Clare Ryan, Daneka Sheppard, Ethan Smith, Wilson Boong., Ethan-Jack Crawford, Trinity Richardson-Dan, Ethan Hunter-Day, Phoebe Hawthorne, Victoria Ferguson, Argus Mclachan, Ruby Ripley, Zane Cottle, Jake McAllister, Jasper Brisk, Thomas Tavae, Steven Dyoco, Katie Cameron, Hannah Holford and Bronagh Ryan. In second place was Team 6 with 579 points, just ahead of team 4 with 577 points, 4th team 1, 560 points, 5th team 3, 533 points and 6th team 2, 501 points. Thanks to the team leaders who did an amazing job organising their teams. Thank you to all the officials, judges and those who kept points. We have been running In-house league for over 20 years and it remains as popular as ever. Congratulations to Nevill Sutton who was named Coach of the Year at Porirua Community Trust Sports Awards dinner held recently. Nevill has had many coaching successes in the 28 years he has been coaching in the area and PCA is very proud of amazing results achieved by our older swimmers in recent times - NZ Age Group records, Wellington records, National Open and Age Group medals, Regional medals and the list goes on and on – Well done Nevill. Ben Walsh was one of three finalists in the Young Sportman of the Year category. The winner, netball player Whitney Souness gave up a promising swimming career with the club a number of years ago to pursue her netball career. Congratulations to Ben for making the finals. 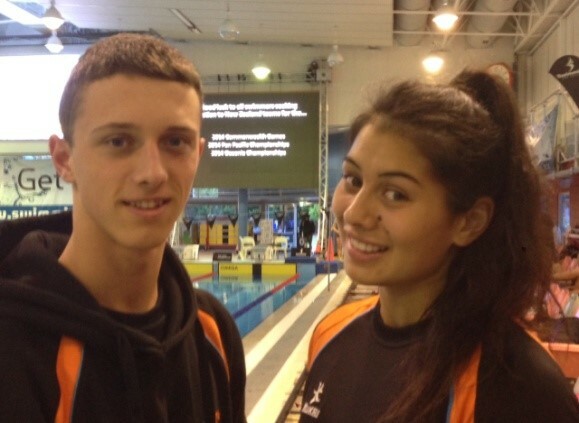 Porirua City Aquatics is represented at the 2013 Swimming NZ Short Course Championships by Ben Walsh and Bronagh Ryan. Congratulations to Rebecca Ferguson, Andrew Wills and Carl Fisk who qualified as Regional IOT's (Inspector of Turns) during the course of the 2013 Swimming Wellington Winter Champs. Congratulations to Onolata Little who was named Swimming Wellington Club Contributor of the Year at the Swimming Wellington's Annual General Meeting on Thursday 29 August 2013. As we all know Onolata works tirelessly in many areas for PCA. In the event of an earthquake during any club or squad training sessions swimmers are to go to the centre of the pool and are not to try and climb out of the water. Spectators should sit and cover their heads with their hands as there is unlikely to be enough furniture to shelter under. Recent big earthquakes have shown those trying to exit a pool were injured (broken bones etc) when the swell of the water bashed them against the sides of the pool. Swimmers should only attempt to exit the pool when the water has calmed down. In the event of a sizeable earthquake everyone in the complex would be under the direction of the pool staff who may ask that you vacate the building. Everyone needs be aware of the emergency exits - at Cannons Creek these are the front entrance, the new door on the far side of the pool and the rear doorway, near the family changing rooms. The assembly point is on the grass behind the building. The pool staff will determine if the building is safe to re-enter, if the building is deemed unsafe you will not be able to re-enter the complex, and any property left behind will not be able to be uplifted. Please ensure thay any personal items (Car Keys, Phones etc) are kept close to hand, you should not delay your exit to find any gear. Given the number of recent quakes having a spare towel and jersey in your car may be prudent. A Junior Squad (Orcas, Swordfish I & II) get together has been organised for Sunday 28 July at 2:00pm. The activity will be Bowling at Strike, Porirua, costing $20 per child. This includes 2 games, hotdog, chips and a drink which needs to be paid for on arrival. This is a great opportunity for the children to build friendships and club spirit outside of the pool. If you wish your child to attend please email me by Friday 19 July at the latest at . During the school holidays Monday and Friday club nights will be devoted to distance badge swimming, there will be no swimming on Sunday mornings. For those new to the club, PCA has distance badges swimmers can achieve by completing a distance without stopping. The distances covered are 25m (one length) 50m, 100m, 200m, 400, 800, and 1500m. Once a swimmer has completed all these distances they move on to swimming 1 kilometre (40 lengths) for a time. The club has various ribbons to reward swimmers for the times achieved. Those swimming up to 400m metres should come at 6:00pm, while those swimming longer distances are to come at 7:00pm. To help these evenings run smoothly Eileen and Viv need help from parents counting laps and timing the 1k swimmers. Please note, swimmers may need to wait their turn if the lanes are full, so everyone has the opportunity to achieve their goals. As the Tadpoles and Penguins do not train over the school holidays, they are welcome to join in the club sessions and swim distance badges. Swordfish and Swordfish II will have 2 lanes per session and Orcas will have 3 Lanes per session. Subs are due on 1 July and should be paid by 31 July. Any family wishing to spread their payment need to contact the treasurer by to make an arrangement. The Annual General Meeting and Prizegiving of Porirua City Aquatics was held on 19 May 2013, upstairs at the Te Rauparaha Arena Porirua, commencing at 2:00pm. After three years Julie Saunders retired as treasurer. Julie has done a wonderful job and has given PCA hours and hours of her time. It is not often that people give so freely to a sport when they don’t have children swimming - remarkable really, thank you Julie. Pressure of work has seen Andy Wilkinson hand over the Race Secretary role to Tony Lloyd. Being the Race Secretary is one of the most demanding in the club and we thank Andy for the huge effort he has put in over the last two years. The names of winners of the PCA cups and trophies, relating to the club champs can be found here. The Annual General Meeting and Prizegiving of Porirua City Aquatics will be held on 19 May 2013, upstairs at the Te Rauparaha Arena Porirua, commencing at 2:00pm. The timetable for Alex's squads for term II have been changed. As the timetable will give both Swordfish groups an opportunity to train for one hour each session, coaching fees for both groups will increase to $150.00 for 3 months (May, June and July) or $50 per month (beginning in May). The club expects that coaching fees are paid monthly by automatic payment into the club's squad account (030547-0205093-02) on the first of each month for that month. Please use the swimmers name as a reference. During the school holidays Monday and Friday club nights will be devoted to distance badge swimming. Sunday morning sessions (8am to 8.45am) will be held as normal. For those new to the club, PCA has distance badges swimmers can achieve by completing a distance without stopping, The distances covered are 25m (one length) 50m, 100m, 200m, 400m, 800m, and 1500m. Once a swimmer has completed all these distances they can move on to swimming 1 kilometre (40 lengths) for a time. The club has various ribbons to reward swimmers for the times achieved. Those swimming up to 400m metres should come at 6pm, while those swimming longer distances are to come at 7pm. The pool is booked until 8pm, so please don’t turn up at 7.45pm to start a 1500m. To help these evenings run smoothly Eileen and Viv will need help from parents counting laps and timing the 1k swimmers. The Penguins do not train over the school holidays, instead they are welcome to join in the club sessions and swim distance badges. Swordfish and Swordfish II will have 2 lanes per session and Orcas will have 3 Lanes per session. Orcas session on Tuesdays will be reduced to 2 lanes from 6:00 to 6:30pm. There will be no training on ANZAC day, Thursday 25 April. Congratulations to our PCA team (Matisse Uluilelata, Christopher Andrews-Kidd, Monica Saili and Ben Walsh) who recently competed at this year’s NZ Age Group Swimming Champs held in the city at the Wellington Regional Aquatic Centre. Overall the team achieved 3 Age Group Silver Medals, 2 Age Group Bronze Medals, a Regional Relay Bronze medal and several National Top 10 placings. PCA finished 41st on the final points table out of the 79 clubs that appeared (not bad for just 4 swimmers). Matisse Uluilelata (14): qualified in just the 100m Fly where she finished 15th overall. But for the first time there were no qualifying times set for the 50 metre races, if you had qualified in a 100metre or longer event you were allowed to swim in the 50 metre race of that stroke. This meant Matisse could swim in the 50 Fly which she chose to do. In her first NZ Age Group Champs Matisse managed to make the final in the 50 Fly where she finished with a national 10th placing also setting a very nice PB. Christopher Andrews-Kidd (15): swam in 4 individual events and was also selected as a member of the boys 15yrs and under Regional relay teams. Results were 50m Breaststroke (14th), 50m Freestyle (14th), 100m Freestyle (18th) and 100m Breaststroke (12th). Wellington Regional Mens 15 & Under Freestyle Relay (4th) and Wellington Regional Mens 15 & Under Medley Relay (5th). Monica Saili (15): swam in all the Freestyle disciplines available from the 50m sprint to the 800m endurance event. Results were 50m Free (5th), 100m Free (9th), 200m Free (26th), 400 Free (19th) and 800 Free (13th). Ben Walsh (16): As always Ben had aged up just 3 weeks before this event but still managed to turn in some excellent results collecting 3 individual Silver medals, 2 Individual Bronze medals, a team Bronze medal, 2 Wellington Open records, 4 Wellington Age Group records. Ben placed second in all 3 of the Breaststroke events, he set new Wellington Age Group records in all 3 events and new Wellington Open records in the 100m and 200m events. Ben also placed 3rd in the 50m Fly setting another Wellington Age group record, he placed 3rd in the 200m Medley and 9th in 100m Fly. Ben was asked to swim in the Mens 16yrs and over Regional relay team which finished a creditable 3rd place as well taking his total medal haul to 6. Overall another exciting meet with many hard fought races and several great results produced by our Swimmers. Thanks to all our swimmers, you were a pleasure to manage, our coach Nevill and the parents and volunteers who officiated, the club members who came in and supported the team and finally to all those others who helped in so many ways during the meet. 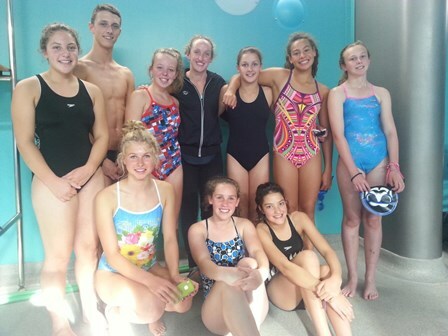 A small group of 16 mainly junior swimmers went on a club outing to the Mitch Tait Carnival swim meet in Masterton. We had a good trip over, which the children enjoyed using the time to catch up with each other. After lunch in Masterton Children's Park, we arrived at the Genesis Pool in time for warm up and the meet. Unfortunately due to administrative errors the meet was delayed for 15mins, which gave us time to settle into a convenient space in the pool. The children swam well with several PBs and some last minute qualification times for Wellington Summer Long Course Champs in January, so well done to Robb Tyler (100m Back - 9&u), Chloe Bouchier (200m Im - age 12) and Jake McAllister (10&u) who qualified for Juniors in the 100m Freestyle. It was a long meet in a very hot and humid pool reflecting the amazing temperatures outside. The children welcomed the chance to chill on the outside pool after the meet and try out the slides and diving board, only wish I had brought my togs - chilling in the cold water would have been fantastic! Thank you to Terry & Andy who organized and drove the minibus, Terry for acting as coach for the day, Andy for timekeeping and also Nicola for providing extra transport and supporting the children. 28 swimmers from both the junior and senior squads attended the Wellington Open meet in Kilbirnie, the meet was based over 2 sessions, so it was a long day with an early start. However, the swimmers swan a 100 events between them with a PB rate of just over 50%, so well done a great result. Sophie Wilkinson took just over 19 seconds off her 200m butterfly time and Matisse Uluilelata took just over 20 seconds off her 400m Freestyle time while Ben Walsh broke the 15 year old boys 50 Back club record, old time 29.05 new time 28.32. It was great to see the large majority of swimmers being on time for the land based warm up prior to getting into the pool and also beings suitably attired with slippers etc. to keep the feet warm. Thank you to everyone who helped officiate, Clare, Anna & Libby who also acted as Team Managers and the coaches Alex & Nevill for supporting their swimmers. Due to the renovations at Cannons Creek Pool the Family Fun Night has been changed from Monday 17 December to Friday 14 December 2012 starting at 6:00pm, this will also be the final club night for the year. The first club night for 2013 will be on Monday 28 January 2013. Team Meeting for swimmers and parents attending the Wellington Champsionships will be held on Wednesday 15 January from 5:15 to 5:45pm. Senior Squad Members are required to be at the pool 30 minutes before the session commences for land training, Junior (Orcas and Swordfish) Squad Members are required to be at the pool 15 minutes before training commences. Junior squad times for training in December from 17 December while the Cannons Creek pool complex is closed are still being finalised and squad members will be advised when this is confirmed. Training for Club Swimmers who have qualified to swim (and are swimming) at the Wellington Summer Champs who swim with Viv, Eileen and/or Peter are welcome to swim with the swordfish squad. A date for squad swimming recommencing at Cannons Creek will be announced in due course. We have been advised by the Council that there will be additions and maintenance to the Cannons Creek Pool Complex from November 2012 to January 2013. This work involves additions to the rear of the complex, maintenance (replacing) the roof and also some work on the pool and floor in the complex. This work has already commenced, but the pool complex will remain open while some of this work is carried out. In order for the roof to be replaced our storeroom will be emptied by 28 November (alternative storage for the equipment we need for club nights will be provided) and the whole pool complex will be closed from 16 December 2012 to 18 January 2013. The club will be providing bus transport to the Mitch Tait Memorial Carnival in Masterton on 16 December 2012 for those who are interested in attending a meet outside of our normal area. More details here. Congratulations to Ben Walsh who was awarded the Lynette Brooky Trophy for Young Sportsperson of the Year at the 2012 Porirua Sports Awards on 18 October 2012. Ben has also been awarded (on 25 October) the Senior Boys Swimming Prize at Tawa College Sports Awards, and Overall Sportsman of the Year for the College. 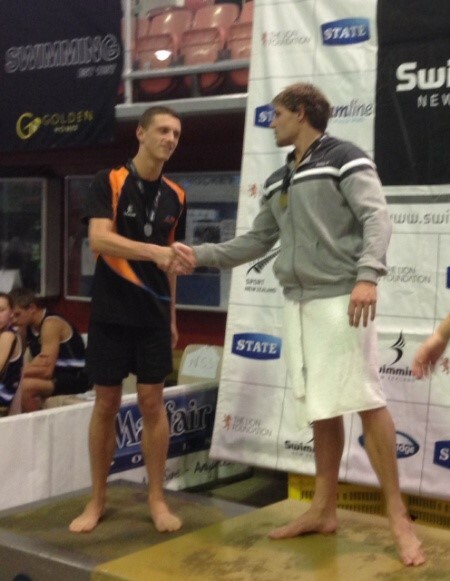 Ben has been selected for the New Zealand team (100m and 200m Breaststroke) for the Australian Youth Olympic Festival on 17 to 20 January 2013 in Sydney Australia. The club now has a general e-mail list that club members can subscribe (or un-subscribe) to depending on the members circumstances. The e-mail list will be used by the club to inform members when the monthly newsletter has been posted on the website and to send information of general interest to club members. You can subscribe (or un-subscribe) to the list here. If you are having any difficulties then contact the list administrator by . The Meet was held at the Wellington Regional Aquatic Centre from 30 September to 4 October 2012. The champs this year had a very different format, due to them becoming a qualifying meet for the World Short Course Champs to be held in Turkey later this year. This meant that there would be the inclusion of Open grade swimmers (Olympians) at the meet so the morning sessions were for age group finals and the evening sessions included Open finals plus A & B Finals made up in two groups of 15 and Under and 16 and over. These evening results did not affect the age group results posted earlier in the day at the morning sessions. Overall the team achieved 2 Open Bronze Medals, 4 Age Group Gold Medals, 2 Age Group Bronze Medals and several National Top 10 placings. PCA finished 29th on the final points table out of the 73 clubs that appeared. Against the Wellington clubs we were place 4th just behind Capital, Karori and Swim Zone. This achievement is outstanding when you consider we had one of the smallest teams there. Full report from the Team Manager (Bill Walsh) here. Tadpoles is a group of swimmers who receive technique coaching by Alex Bennett (the paid junior coach). The sessions are each Friday during the term from 6:00pm to 6:40pm and the cost is $30 per term in addition to the normal club sub. at least 8 yrs and up to and including 11yrs. fully paid up members of the club. Keen to race and enter meets involving other clubs. Swimmers will continue to swim on Mondays and/or Sundays with their normal club coach while in the Tadpoles. At the end of the term swimmers may choose to say with the tadpoles for another term, move into one of Alex's other groups (penguins or Swordfish), or continue to swim the the volunteer coaches lanes. Should the nubmers interested in joining the Tadpoles exceed spaces available, swimmers will be selected in consultation with their club coach. Those interested in joining the Tadpoles (or squad swimming in general) should contact Viv Morton, either poolside, or phone 234-7071. Normal Sunday morning sessions will be held on 30 September, 7 and 14 October from 8:00am to 9:30am. Club nights on Monday 1, Friday 5, Monday 8 and Friday 12 October will be devoted to swimming for distance badges. Swimming for distances up to 100m will commence at 6:00pm and longer distances from 6:30pm to 7:30pm. Parent help will be needed for counting laps and taking times. Penguin squad will not have squad sessions during the holidays, and are welcome to attend the distance swimming sessions. The Upper HUtt club short course meet was held at WRAC on 22 September (in the deep end) with a squad of 11 junior swimmers attending. More info here. There will be an information evening on Wednesday 26 September 2012 commencing at 7pm at the Te Rauparaha Arena (upstairs meeting room). The purpose of the evening is to update parents on the operation of the club, how to enter swim meets and carnivals and how they operate, officiating, provide information on swimming squads, and answer any questions parents may have. Agenda and more information here. The Swim Wellington Winter Champs will be held on two Weekends (25 - 26 August, and 1 - 2 September 2012). The meet details and general information, including the latest eligibility report are in the 2012 calendar here. The Closing Date for Entries is 7:00pm Monday 13 August. Entry fees are required to be paid by that date, if Internet banking then please ensure that payments are loaded before 10:00pm as after that time they will not be processed until the following night. There will be a Team Meeting for all PCA swimmers who have entered the Swim Wellington Champs at the Te Rauparaha Arena Pool on Wednesday 22 August commencing at 5:30pm. A Swim session will follow the team meeting which all swimmers will be required to participate in. The council door entry fee into the pool will need to be paid by each swimmer. The Orcas session at Cannons Creek pool at 5:30pm on Wednesay 22 August is cancelled. Any Orcas not entering the Wellington Champs may swim with the Swordfish from 4:30pm to 5:30 pm. We have 48 Swimmers in 260 events for this meet. We had a small team of swimmers attending the West Coast Championships and they were Chloe Bouchier, Jordan Harris & Jack Plummer. Chloe achieved 4 PBs and achieved 1 First and 4 second places in her 6 age group races. Jordan showed great stamina swimming in 12 events over the weekend and achieving 7 first places and 5 second places in his age group races. Jack Plummer swam in 9 events coming first in all of them in the 10 years and under age group category. He also achieved 2 PBs and a Wellington Record in the 100m Backstroke for 9 years boys in a time of 1:20:28. We all had a great time and the children had fun spending time together. The Wellington Regional Interclub League swim meets finished with heat 4 on 28 July 2012. There had been a series of heats held between May and July. Swimmers were chosen based on performance & meet criteria from the participation form placed on the club noticeboard. We were able to have 2 teams PCA Black & PCA Turquoise. PCA Black won the league, having held 1st position from heat 1 and PCA Turquoise came 6th out of 14 teams. This is a fantastic result and reflects the great training the club provides and the dedication of our swimmers. Chloe Bouchier, Jordan Harris, Bernice Holford, Molly & Lucy Newton Smith, Jack Plummer and Sophie Wilkinson. Reserve, Mia Uluilelata, who swam in heat 2 replacing an injured swimmer. Prajna Baskar, Alex Coope, Merryn Giblin, Samantha Hayes, Verity Isaacs, Emily Laws, Nickolas Trlin and Asia-Vi Wawatai. Reserve’s: Brooklyn Saunders who replaced Asia-Vi from heat 2 following Asia Vi’s relocation to Vietnam and Emily Wilkinson who swam in heat 4, replacing a sick swimmer. All our swimmers swam extremely well achieving a fantastic 36% of PBs from the total of 128 individual swims during the series. They worked well as a team, supporting each other and had a great time. A huge thank you to Clare Newton Smith who was the Team Manager for PCA Black and worked on the pre-meet administration. Thanks Clare, it was great working with you. Thank you also to the coaches, officials and parents who supported the inter-club league. Congratulations to Ben Walsh who has been selected in the New Zealand team of twenty five top age group swimmers to compete in the Trans Tasman Series to be hosted by Australian Swimming from 1 to 7 July 2012. Congratulations to Bronagh Ryan, Mia Uluilelata, Matisse Uluilelata and Ben Walsh who have been selected in the Wellington Team of twenty eight swimmers to swim at the 6 Centre Meet to be held in Palmerston North on June 24th. 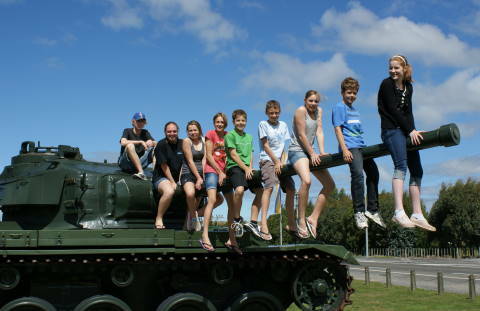 The 6 Centre Meet is an Inter-Centre Meet held annually in Palmerston North between Hawkes Bay-Poverty Bay, Manawatu, Taranaki, Wanganui, Wairarapa and the Wellington Regions. Each Region enters one swimmer in each race and the swimmers compete as a team for Age Group Trophies and a Relay Trophy. The sessions are each Friday during the term from 6:00pm to 6:40pm and costs $30 per term in addition to the normal club sub. Expressions of interest close on 6 July 2012. Futher information and application form here. Club nights on Monday 2 Friday 6, Monday 9 and Friday 13 July will be devoted to swimming for distance badges. Swimming for distances up to 400m will commence at 6:00pm and longer distances from 7:00pm. Parent help will be needed for counting laps and taking times. on Mondays and Fridays both groups will be in the pool from 4:30pm to 5:00pm as the lanes could not be booked any earlier, and club swimming starts at 6:00pm. Please note that only 3 lanes have been booked (not the pool complex) so entry fees are payable for all sessions. The Annual General Meeting and Prizeving was held at the Te Rauparaha Arena (upstairs meeting room) on Sunday 27 May 2012 commencing at 2:00pm. While the Annual General Meeting is in progress the younger members of the club had a swim in the pool (the club paid the entry fee for club members). There will be no swimming sessions during Easter weekend (Friday 6 to Monday 9 April 2012). Club nights on Friday 13, Monday 16 and Friday 20 April will be devoted to swimming for distance badges. Swimming for distances up to 400m will commence at 6:00pm and longer distances from 7:00pm. Parent help will be needed for counting laps and taking times. Swordfish and Orca squads will be training each weekday (except Easter Monday) from 4:30pm to 6:00pm. The pool complex has been booked by the club so swimmers will not be required to pay the councils door entry fee. There will be an information evening on 3 April 2012 commencing at 6pm at the Te Rauparaha Arena (upstairs meeting room). The purpose of the evening is to update parents on the operation of the club, how to enter swim meets and carnivals and how they operate, officiating, provide information on swimming squads, and answer any questions parents may have. Agenda and more information here. PCA had 9 swimmers representing our club at the 2012 NZ Junior Champs, our biggest team in a number of years. Well done swimmers for all the hard work and commitment you have put into your swimming and a big thank you to coach Alex Bennet for his work pool side getting swimmers ready for this meet and ensuring our swimmers performed the best they could on the day. PCA on points finished an outstanding 3rd for Wellington Regional Teams attending this years NZ Juniors. All our swimmers attending their first National Meet over came their nerves a meet of this level generates to perform admirably, setting a great foundation for next year, well done all of you. Jack Plummer's Regional result, (2nd in the 100 Breast), was fantastic given Jack was competing in the boys 10 years and under events this year while he has only just turned 9. Sophie set new PCA Club records in the 50m & 100m Back Stroke. With her regional 1st place in the 50 Back Stroke also placing her 3rd Nationally to pick up the Bronze Medal. Special thanks to Ondene for assisting with the Team Managers role and to all the people who assisted with officials duties, it is as always much appreciated. PCA turned out 16 swimmers for this meet. We achieved 22 PB’s. Jack Plummer, Hamish Trlin and Christopher Andrews-Kidd all got first placings and Molly Newton Smith, seconds and Matisse Uluilelata, a third too. It was a good opportunity to practice all strokes in a 50M pool. Then we had the ‘Skins Death Wheel’ and all the swimmers had their lane entries marked and the fastest 10 boys and girls got to race in a final swim off! Both Christopher and Hamish got to the final 10, but sadly for them didn’t win the $100! The races caused much excitement (and noise) and the winners with the lucky lane tickets scored a big bar of chocolate each. Jack also got a trophy for ‘Best 9 and under male’. Well done Jack! The meet started at 5pm and did go on a long time, but, in fairness, it wasn’t due to disorganisation, they had problems with the computer. It wasn’t that warm at WRAC, so a timely reminder to swimmers and particularly parents of young swimmers, that along with enough towels, water and snacks, they really do need something warm on their feet! Slippers with non-slip soles are best, but socks and crocs/shoes are just as good! It really makes a difference! Thanks to Alex Bennett for coaching and to those that gave up their time to do official duties. Congratulations to all swimmers who swam at the Wellington Long Course Summer Champs over Wellington’s anniversary weekend. We had 41 swimmers competing in 262 events, overall the club placed 4th out of the 42 clubs competing at the meet. Full report here. The raffle was drawn at Wellington Centrol Police Station on 5 December and the results published in the Dominion Post on 8 December 2011. Many thanks to Hiria Pointon and her helpers for organising the raffle, collecting the donated goods and keeping track of the tickets etc. Also thanks to those members who donated goods and sold the tickets. Pictures of the prizes and some of the winners are in the gallery section. Providing there is sufficient interest from swimmers and parents, a camp for members of the Swordfish and Orca Squads and Club swimmers who will be swimming in the Wellington Championships in January will be held in the second week of January 2012. Confirmation of Attendance and a deposit of $100 is required by 7:00pm Monday 28 November. Please complete the Attendance Confirmation Form and either attach a cheque or confirm payment via internet banking to the squad account. Contact Andy Wilkinson on mobile 021 986 533 or e-mail race@swimporirua.co.nz if you require any further information. Penguins and Tadpoles will have their final session on Friday 16 December. There will be a session taken by Mrs Adams for non squad swimmers who have entered the Wellington Champs in January on Friday 16 December from 6:00pm to 7:00pm. The following timetable is for members of the Swordfish and Orca squads, and club swimmers who have entered the Wellington Champs in January. The last club night for 2011 will be a family fun night on 12 December 2011. 6:00pm warm-up for a 6:30pm start. See the notice for more information. We will be publishing lists of all swimmers best times so that you can keep track of where you are and be able to check your times againgst the requirements for meets that have a minimum time entry requirement. The best times for long course (converted from short course where appropriate) for the period 1 January 2011 to 4 November 2011 is here. The next Learn to Swim block of lessons commence Sunday 30 October 2011 and finish 11 December 2011. $40 per swimmer payable on the first day (unless already paid on the last day of term 3), cash or cheque only as the club does not have eftpos and is unable to accept credit card payment. The Club is arranging a bus (paid by the club) to travel to the Paul Kent Memorial Spring Meet in Levin on Saturday 12 November 2011. Details are in the Calendar and on the Notice Boards at both pools. Please indicate your intentions as early as possible (on the lists provided) so that plans can be finalised. This was a very successfull and enjoyable trip last year. The normal club night programme is replaced by distance badge swimming during the school holidays. As the penguin squad does not train over the school holidays, they are wlecome to join in the distance badge swimming. The Swordfish and Orcas squads will swim together during the school holidays.